By Xah Lee. Date: 2015-05-18 . Last updated: 2018-06-03 . 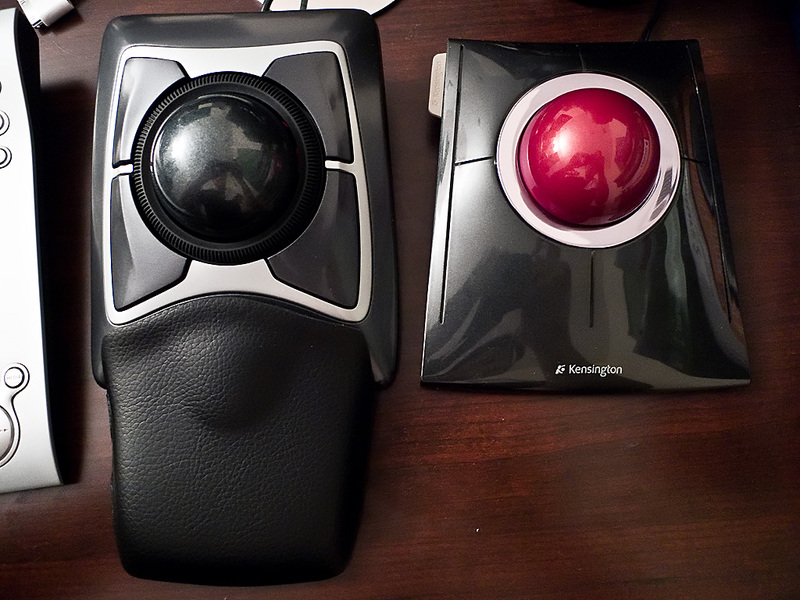 The Kensington Slimblade Trackball came out in 2009. 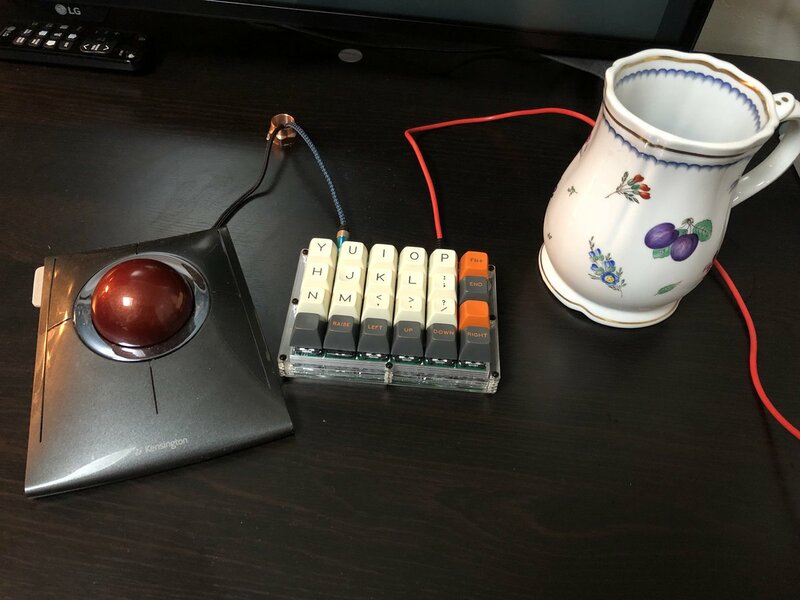 This is one of the better trackball loved by the trackball users community. Featuring large ball, and 4 large buttons. Ball diameter: 55 mm. 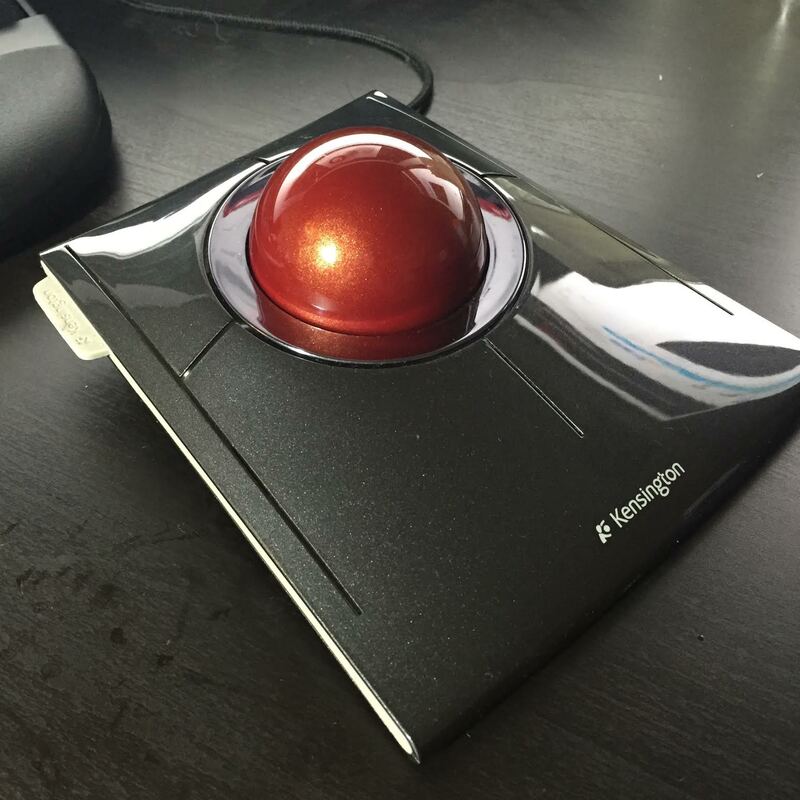 This is same size as Kensington Expert Mouse. 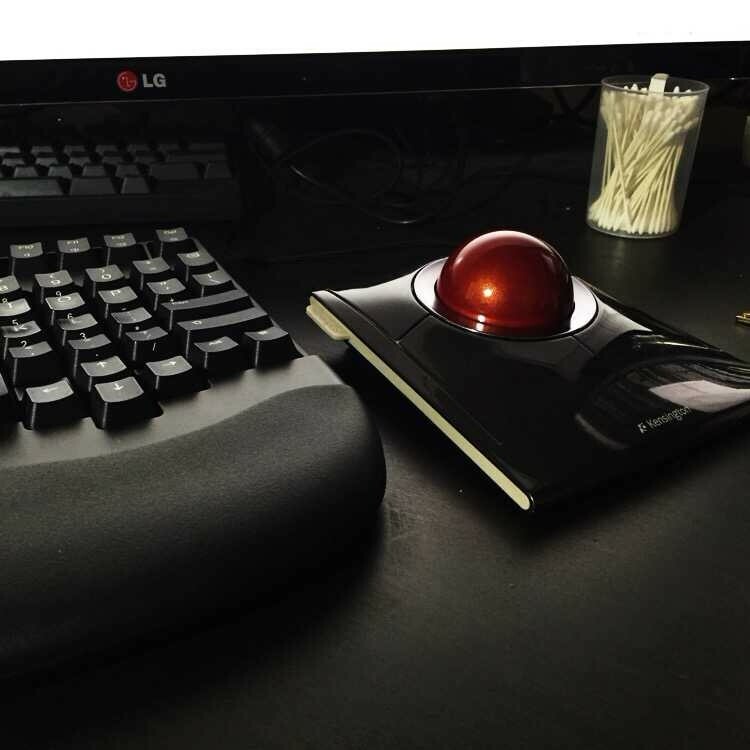 The Slimblade also features a twist scroll wheel. You twist the ball to scroll, like rotating earth. It's awkward. Not very good in comparison to a scroll ring or scroll wheel. Top left button is double click. Twisting for scroll also works. Of all web reviews, there's no consensus of which is better. Some prefer Slimblade, some Expert Mouse.